So I do something I think will be really, really awesome. And that is, I updated The Winter Home pre-gens to be closer to the characters in the finished book, Transylvanian Adventures. Things are going swimmingly, especially considering I haven't done layout since the heydays of Quark and Pagemaker. Not only is my updated PDF incapable of being downloaded but the product is now "inactive" (again). Overall, I look and feel like this right now. I have two support tickets open for DriveThruRPG/RPGNow at the moment. One for the file not really being updated (despite the spiffy email I received saying it was) and the other for the de-activation of The Winter Home. So far... not loving it. Thanks to Justin Issac for spreading the word about The Winter Home on his blog, Halls of the Nephilim. Go over and check it out. I was always a fan of the band, Fields of Nephilim, back in the day. So I was completely jazzed by the name. An introductory module for Transylvanian Adventures is now available on RPGNow and DriveThruRPG. The introductory module is titled The Winter Home. 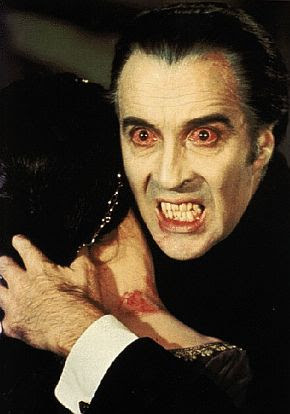 It includes some abridged rule enhancements from Transylvanian Adventures and 5 pre-generated 4th level characters (Valiant, Exotic, Half-Breed, Reaver and Hunter). It's worth noting that these pre-gens are scaled back a bit and don't feature all the options available to characters in Transylvanian Adventures. Why? Mostly because some class abilities would've required more of the rule enhancements from the book to make sense. So head on over to the Land of Phantoms online store. Or go directly to the page for The Winter Home. The Winter Home is available for $3.99. The final chapter needing draft has been completed. Most chapters have been proofed and are headed to layout soon. I was also able to finish up a couple of random tables I'd forgotten about. One for the Investigation chapter and another for the In-Between Adventures chapter. Nobody's perfect and that's doubly true for me. But proofreading saved the day. I'm on my last table for the first book now. Well, it's really a set of tables. They carry no more mechanical weight than the Occupations table but I think they'll make for better characters overall. These tables are, of course, entirely optional. Some groups will love them. Others will ignore them. I'm going to add some more examples, especially for the In-Between Adventures and Investigations chapters. Those are really different. But good different, I think. It's just that they do things that I haven't ever seen a roleplaying game try to do. If a group doesn't care for them, they can fully ignore them as well. But they definitely add an element to a campaign or adventure that is typically overlooked or poorly supported rules-wise. For all those who have purchased The Winter Home and those who've received it as a free download from the Free RPG Day promotion, please spread the word (feedback would be awesome too!). If this thing gets off the ground and does anything, it will be because "You Demanded It!" -- as Stan Lee likes to say. The first book is a given. I'm committed to finishing the next two as well. But the quality of those books and the speed with which they are completed rests solely on the success of what has come before. Basically, the better the intro adventure and first book do the easier it will be to find (and make) time to work on books two and three. As promised many moons ago, I'll be doing a chapter by chapter blog series to preview what's coming up in Book One (Transylvanian Adventures). Along those lines, are there any questions or blogposts you all would like to see? Any questions about it? Or things you'd like to know? As mentioned in yesterday's post, I'm working my way through getting the Transylvanian Adventures Introductory Adventure available for download through RPGNow/DriveThruRPG. It's been kinda-sorta-maybe sitting in "Product Approval" now for 24+hours. I don't think it's going to be approved by the time Free RPG Day hits (which would be now). It's my bad for not anticipating the duration of the product approval process on their end. I've also submitted a support request for some clarification but I would not expect any more information until Monday at the earliest. So here's the deal-ee-oh, starting at midnight tonight (now for many of you), email me through the blog or PM me (smathis) over on the Goodman Games forums. 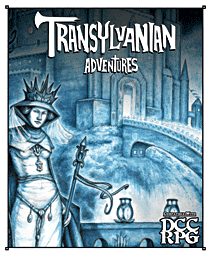 If you give me an email address, I will send you a promotional coupon to download the Transylvanian Adventures Introductory Adventure for free when it becomes available at RPGNow. As a bonus, I'll add you to a TATG mailing list -- unless you tell me you don't want to be on a mailing list. I have no idea what I would send to a mailing list and I'm not a hugely promotional type of guy. So whatever I wind up sending (if anything) will be somewhat interesting, no doubt. And likely just a reminder that I'm not dead yet. This deal is going to last until midnight on Monday, June 17th. After that, no more freebies. The adventure will cost $3.99. I got a chance to head up to Dallas for NTPRG Con. Got to meet Doug Kovacs, Harley Stroh, Paul Wolfe and Michael Curtis among many others. Had a great time. It's been through layout. It's been approved. It's good to go. After a couple of minor edits, it will be available for PDF download on Free RPG Day. The finished booklet is 50 pages long. The cover art (shown below) is by Doug Kovacs. And it looks amazing. I'm going to be selling my books through RPGNow/DriveThruRPG. It's the best option I've found thus far and allows people to print-on-demand for hardcopies. I don't quite understand the RPGNow/OneBookshelf approval methods. So I don't know if the book will actually be available for download on Free RPG Day. It appears I can't only have one product and have that product be free. We're not unhappy about the prospect of people actually buying the Quickstart (a lot of work went into it). But I did want to do something worthy for Free RPG Day. By some means, we'll figure out a window whereby people can get the Quickstart for free -- whether that be coupons through RPGNow or what. But when that window is done, it will cost around $4. So pay attention when the announcement goes out. The window will START on Free RPG Day (this Saturday) and will go no longer than one week. Surprisingly, I have done nothing on the book while doing NTRPG Con and working on the Quickstart. There is still one chapter that is in draft. The rest are all being proofed. Layout will begin on the finished chapters very soon. Thanks to the encouragement of Doug Kovacs and Harley Stroh, I will be attending Gen Con this year. You'll most likely find me lurking or helping out at the DCC RPG booth. It may not be apparent at first but I'm really good at working conventions -- having worked SXSW and a number of others. So I'll show up, do my thing and he'll wonder how it was ever done without me. Find me at the booth if you want to set up a game of DCC RPG or TATG. I'm signing up a bit late to jump into events myself. But I run a mean pickup game. Without further ado, here's the cover of the Quickstart (a.k.a. "Introductory Adventure"). If it isn't patently obvious by now, I'm not an expert marketer. So if there's pertinent information I'm overlooking, please comment and I'll try to follow up with a Q&A blog soon.